We are constantly striving to make products that are more efficient, better and more useful. The new LED spotlight from RAM Mounts is all of that, and more. When the lightbulb went off in our head, we realized that a new LED bulb was the best option to replace the original incandescent bulb. The best part is, it fits in the same light body. This means that if you already had a spotlight, you can just replace the bulb and see a bit more clearly. The new version is available for order now. 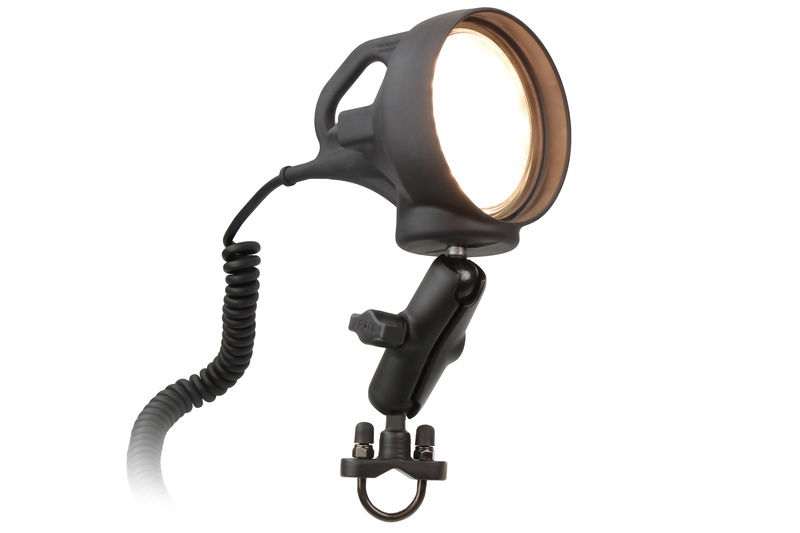 The RAM Mounts Spotlight comes with a 10-foot long cable that connects to a standard 12v accessory/cigarette lighter outlet. 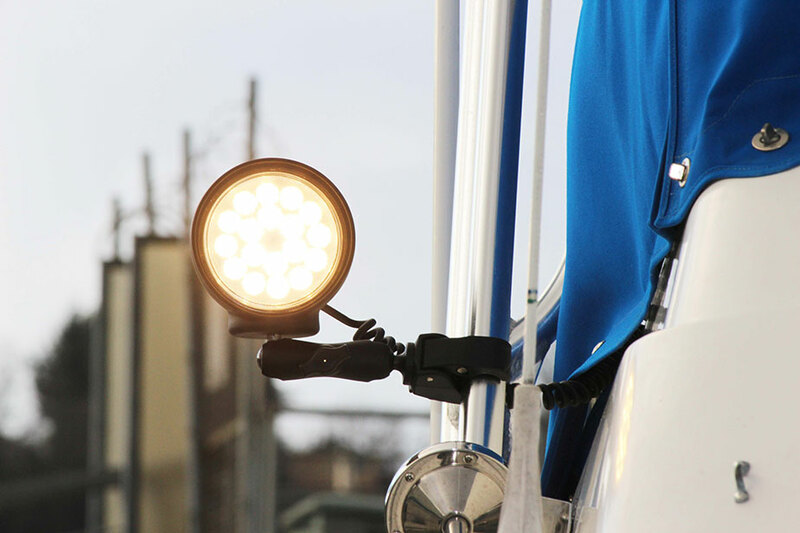 The new 9 watt LED lens is a sealed beam unit that features a 30-degree spot light with a frosted lens. As you can see, not only does the new lens put out more raw light, the new LED technology is more efficient and casts a better beam than the old version. Make sure you order your new RAM Mounts LED Spotlight now!